Isabella Schloss is a recent grad from the B.F.A. Acting program at The University of Southern California just now joining the 5D team as of summer 2014. 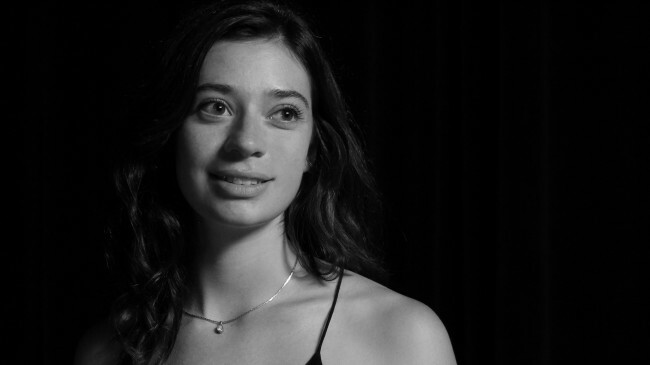 As an Acting major she experienced a lack of collaboration between the differing Schools at USC and therefore decided to propose and then organize the first ever joint event between the School of Cinematic Arts and the School of Dramatic Arts in the form of a professional showcase. She is also working on creating a group of recent graduates of USC, across all areas of study, to come up with a plan for USC to offer students the chance to form long-lasting friendships and working relationships in interdisciplinary settings. Due to her interest in collaboration and storytelling she started working with the World Building Media Lab on the Leviathan Project, adding her knowledge and skill as an actor to the already numerous positions on the team. She hopes to continue exploring the new immersive media of World Building and all that it can offer in redefining the artistic process of telling a story.